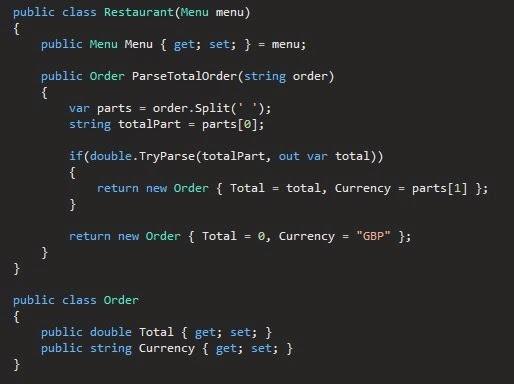 Code for Fun: What's going on with C# 6.0! Hello! This is Juan Antonio, back again into the arena. I'm sorry, it's been a long time since I last wrote a post back in August. Certainly there have been lots of things to take care off, but I don't want to stop sharing things with my friends. I really recommend if you can watch it not only because of the content but also because Scott is a great speaker. 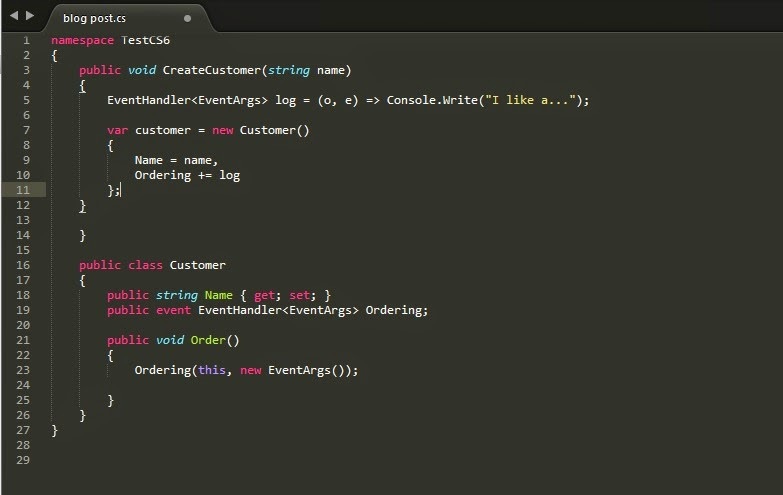 I felt really amazed with what is coming in C# world. In this post I wanted to summarize the new features of the language. Everything I'll tell is possible because of the new compiler, .Net Compiler Platform "Roslyn". It is an open source project that we can download and see the source code (http://roslyn.codeplex.com/). It comes along with a new Visual Studio 2014. When I'm writing this, every of these things are in beta testing version so one can download everything for free. 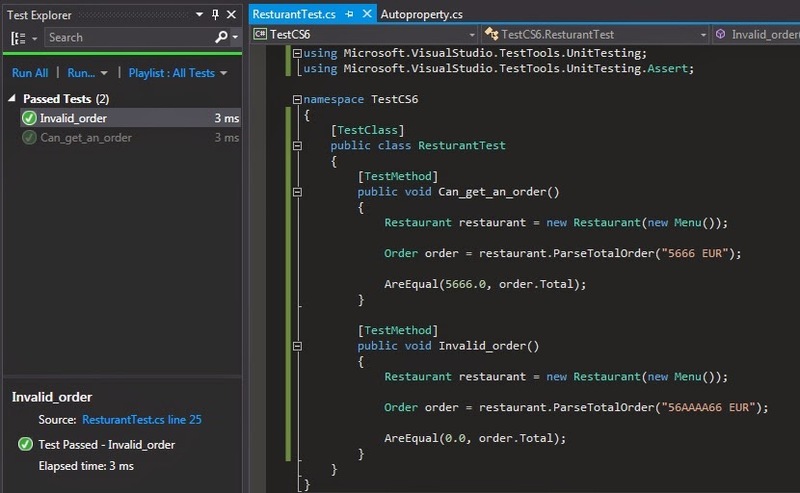 See how we can initialize even a read only property. Primary constructor allows us to define a class constructor and capture the constructor parameters to initialize class properties. 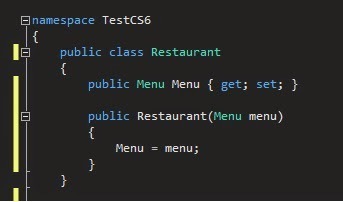 The code becomes more elegant and concise and the benefit is that the menu primary contructor variable is available in the rest of the class as well. See how we declare out total inside the TryParse. The benefit is that the code has become more explicit and that we have declare the variable where it makes more sense, taking more control over the scope. There are a few more of features but this post is just a taste of what we will have soon available. It makes a bunch of small features but altogether it will allow to code simpler and more concise. Remember, great power involves great responsibility. Looking forward to have these tools in our daily projects!